What was medicine like before modern times? My grandmother used to tell me stories that during their time, she would get some herbs by the backyard to use as a soothing ointment or healing drink. I may say I was able to experience that kind of healing, too. When I gave birth to my firstborn, my mother asked my husband to look for guava leaves. She boiled them, and she let me sit in a tub of boiled guava leaves. I must say it was a pretty effective way to heal a wound fast and safe. If able and available, I would prefer such kind of traditional and alternative healthcare. Thus, I am more than happy when I heard the government proclaimed the month of November as the Traditional and Alternative Health Care Month. 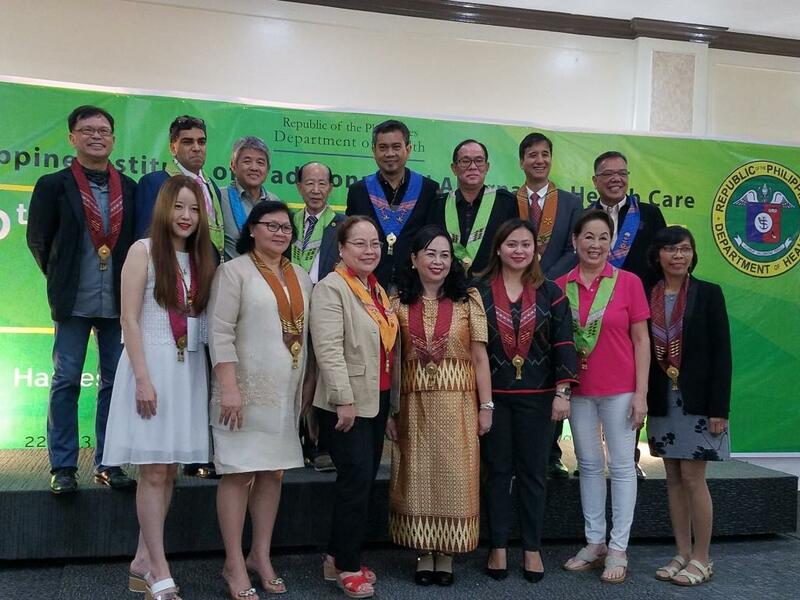 And in line with this, the Philippines Institute of Traditional and Alternative Health Care (PITAHC) celebrated the 10th TAHC Congress, with an aim to harness the contribution of traditional and complementary medicines (T&CM) to health, wellness, and people-centered health care. The celebration was held recently at the Apo View Hotel in Davao City with at least 300 T&CM practitioners in attendance. Though I wasn’t there to witness how PITAHC bonded together to effect a change on traditional and complementary medicine, I got the message how they work together to bring the industry in the national and even international level. Since 2012, the agency is serious in fulfilling significant functions – all for the advancement of traditional and alternative medicine in the country. And though its mandate was changed and reclassified as a research institute, it works in coming out with social advocacy campaigns. Such programs are all geared to raise awareness and a better understanding of traditional and alternative medicine. The agency also brings together all TAHC practitioners to strengthen the healthcare system and introduce standards and accreditation. These practitioners are the hilot and those specializing in acupuncture, chiropractic medicine, naturopathic, and homeopathic medicines. Compared to other Asian nations, which have T&CM, the Philippines is way behind when it comes to facilities and training. However, PITAHC is hopeful for the fast development as for one, the national government is fully supporting its cause. It is for this reason that the agency is all support to the House Bill 7950. The House Bill 7950 seeks to empower the PITAHC by providing it with regulatory powers over traditional and complementary health care. The bill also proposes to increase the agency’s human resources and upgrade equipment, testing laboratories, and field offices. The bill also wishes to rename of the institute from PITACH to the Philippine Institute of Traditional and Complementary Health Care or PITCHC. If the bill is passed into law, it will entail the transfer of regulatory powers of the Food and Drug Administration (FDA) on traditional and complementary medicines to the PITAHC. With the approval of the bill, the agency can efficiently monitor all its accredited members and the products they are producing. As I observe how things are moving, it may still take years to achieve such causes, but just like PITACH, I believe change can happen. There is a possibility that in the very near future, the Philippines will also have its own universities for T&CM. I believe in the cause of PITACH as much as I have high hopes for our traditional and alternative medication. My grandmother believed in them. My mother shows the same confidence. And I have experienced its wonders, too.